I believe in the practices of yoga and creative process to journey inward and outward to uncover our most authentic path. In 2000 I took my first yoga class at the 92nd St Y and immediately felt a sense of peace. Yoga combined with my explorations in acting, singing, songwriting, and dance, helped me feel my whole self and find healing. Since then I’ve been cultivating a practice which integrates artwork and Yoga, and devising a way to lead others in their search for full expression of Self. In 2007 I started Work Study at Jaya Yoga Center and later took on a studio manager role. Sound editing workshops for Krishna Das allowed me to hear many stories of Maharaji. Through the teachings was the message - Guru is not outside, Guru is within. Guru is Self. I completed Jaya’s first teacher training and started teaching yoga in 2012. I trained in Reiki 1 & 2, and practiced with the Park Slope Reiki Circle realizing another modality to connect to the subtle energies of our being to support our natural ability to heal. I have found for myself, creative process and yoga share the same trusting space and they have been ways for me to expand and feel to my deepest intuition. As practices they feel vital for the health of our world, to connect and grow compassion for ourselves and all beings. Yoga means union. Yes, we have been told. Union also means integration; being fully connected to all the parts of ourselves and our life experiences without exception. Only through this radical kind of self-acceptance are we able to experience true freedom (ie. relaxation). Asana is the lens through which we view our internal world. By becoming aware of our physical habits, through form, we are able to identify more clearly the habits of the mind, which either promote or prevent optimal states of well-being and ease. With this awareness comes the potential to completely transform; from the physical body, to the emotional and psychological mind, to the more subtle, energetic aspects of our being. I encourage students to approach this fascinating path of self-discovery with great tenderness, playfulness, and curiosity, for the benefit of one's self and of all living beings. As a perpetual student, my greatest desire is to be a conduit for the powerful teachings and lineages I am constantly humbled to be a part of. Throughout the years, yoga has become a way of returning home to an honest and spacious place where I can work and live with clarity. I wish to create this space for my students, where one can mindfully allow themselves to unravel and explore in a safe environment. From my hometown of Ljubljana, Slovenia to Vienna, Austria to New York, I had many aspirations: being a dancer, becoming an actress. After several years of working in the entertainment field, I found myself in a yoga teacher training. At the time, I was not really certain why I was there, but something about it felt right. As the years go by and my practice evolves, I see a vast space of possibilities. It is from this space I wish to offer these teachings to others. I’m a 500-hour RYT certified yoga teacher. I teach a smart, alignment-based vinyasa class. At times it can be vigorous, other times it is soft. I encourage a healthy attitude, include a grain of wisdom, and teach with a caring approach. At the end of the day, I wish to create a space for my students where they are able to see the boundless possibilities to flow intuitively and playfully, on and off the mat. Zoe is a freelance dance artist and yoga instructor based in Greenpoint, Brooklyn. Originally from Vermont, Zoe graduated from the Walnut Hill School for the Arts before earning her BFA in Dance from the Ailey/Fordham BFA program, with additional studies in Guinea and the Netherlands. She completed her yoga teacher training in 2005, and has been teaching at studios, gyms, corporate locations, and with private clients for the past twelve years, alongside a career as an international professional dancer and choreographer. Influenced by her practice of dance and choreography, as well as 15 years of ashtanga and vinyasa yoga study, Zoe’s classes feature unique and thoughtful sequences designed to align, strengthen, and open the body. Through precise verbal cueing and hands-on adjustments, Zoe focuses on alignment, the breath and mindfulness to guide practitioners toward a better understanding of themselves, and deeper compassion for others. Paula Reyes has always been fascinated by bodies and movement. She received her first training in movement at the early age of 5 as a ballet dancer. She grew up with a dancer’s discipline, which led her to explore her own body’s graceful capabilities and perceive her own space. She carries this dynamic background into her yoga practice and shares it with others in her yoga classes. Paula took her very first yoga class in 2008, which to her felt like coming back home. Since then she has become fascinated by the joy and every other feeling that would emerge during and after all forms of yoga practice, and has learned to cherish the experience. She considers this experience as a gift and has made it her duty to share it with as many people who are open to receive it as possible. Paula considers herself a forever student. She is curious to learn the all-encompassing aspects of yoga through the guidance of her many teachers. She received her 200-hour Yoga Alliance Certification through Yoga to the People in May 2010, and matured as a teacher and a yoga studio manager while living in New York City. In November 2016, after moving to Hawaii, she completed an additional 300 hours of Advanced Yoga Teacher Training with Nicki Doane and Eddie Modestini on Maui, during which she became reacquainted with her body’s strengths and ability to heal by learning to work intimately with her own injuries. This training reaffirmed her core belief: you are your own best teacher. She hopes to keep supporting others so that they could realize their own strength and ability to heal, as well as cultivate their unique yoga lifestyle practice. By the end of her residence in Hawaii in November 2018, Paula had completed another 400 hours of training and learning with Nicki Doane and Yogi Charu. Paula is currently transitioning back to New York City where she is working to earn her Bachelor’s Degree at Hunter College in Liberal Arts, concentrating in Religion Studies. 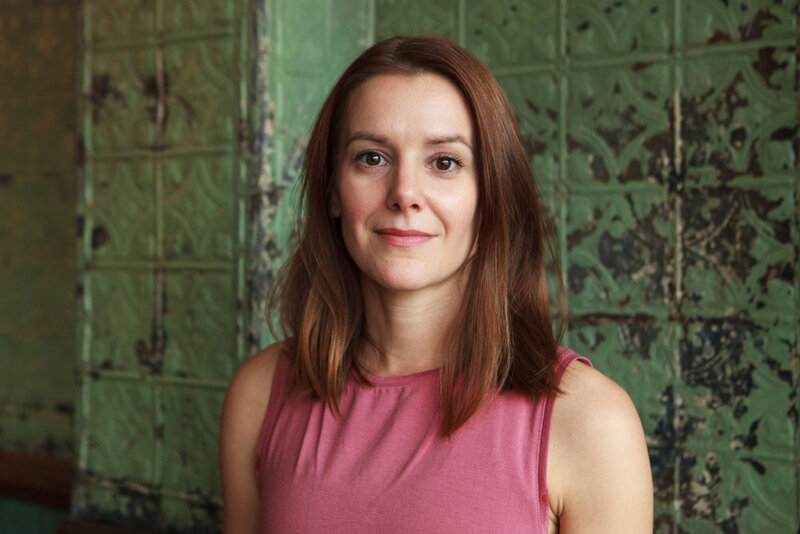 Jenny Campbell is a Brooklyn based yoga teacher and modern dancer, committed to sharing yoga and meditation practices as a means to create calm, balanced living. Over the past 12 years, Jenny has studied and taught a variety of yoga practices including Ashtanga, Vinyasa Flow, Restorative and Prenatal Yoga. She completed her initial 200 hour teacher training in Columbus, Ohio at It’s Yoga under the direction of Laurel Hodory, after receiving her BFA in dance performance from the Ohio State University. She completed her second 200 hour training from the Shala in New York City where she studied closely and continues to work with Barbara Verrochi and Kristin Leigh. In addition to her training in vinyasa yoga, she loves to teach restorative yoga, for which she is certified to teach through her training at Yoga Works. She teaches and practices with the belief that yoga makes life better and enables us to make the world a more peaceful, joyful place by offering the best version of ourselves to everyone around us. She loves to offer restorative yoga, both as its own practice as well as incorporating elements of this calming method alongside physically challenging, breath based vinyasa classes. As a way to offer some calm amidst sometimes chaotic city living, she recently started her company, Urban Om NYC, offering in-home and in- office yoga classes to busy New Yorkers. When Jenny is not practicing yoga, she can be found dancing. She is a company member of Time Lapse Dance. Yoga has been an integral part of Aaron’s life since 2010. Through his practice, he not only found a deeper understanding of the human body and how it moves but also sparked a humble curiosity for yogic philosophy. Since then Aaron’s made it a point to study with many influential yoga teachers in modern vinyasa and spirituality including Raghunath who he recently completed his 500hr YTT with. These trainings have cultivated a profound respect for the traditions of yoga, which he reflects both in his personal practice and teachings. Aaron also focuses strongly on anatomy and the biomechanics of movement within a vinyasa flow to create a safe and sustainable practice. He leads a vigorous yet graceful vinyasa practice with an emphasis of fluidity and mindfulness. Being deeply rooted in Bhakti Yoga, his teachings weave in yogic philosophy that encourages his students to inquire into the intentions of the heart, creating a moving meditation. Aaron’s ultimate goal being to create an experience, not just lead a class. My classes celebrate each practitioner’s unique harmony of mind and body as well as the strong, sustainable community that is inherently created through the practice of yoga. Though my teaching practice focuses on wholeness, contentment and ease, I value inviting your full experience into the room – life is certainly not always easeful! I am fueled by the thrill of growing together as a sangha of yogis, learning from my students as much as they learn from me. I came to New York to pursue a BFA in Dance from Tisch School of the Arts where I began studying yoga under TaraMarie Perri and have since completed my 300-hour teacher training through the Perri Institute for Mind and Body. I continue to be amazed at the body’s ability to work with its own limitations in harmony with the mind. I look forward to being curious about these realities together! Other things that are a large part of my life are the ocean, cycling, and peppermint tea. Originally from Seattle, WA, I take the vibrant qualities of adventure and nature into everything I do. Allee’s classes are characterized by fluid sequencing, upbeat music, and lotsa sweat. She uses hands on assists to help her students gain deeper insight and relax into poses that may be difficult. Allee’s intention during each class is to hold space for students to discover their own potential and to share love and connection in a city that can often feel very disconnected. Allee began her yoga practice during a period of high stress while working in the fashion industry. She found herself immersed in the physical and spiritual sides of the practice. After leaving her career as a publicist to take the 300 hour Jivamukti Teacher Training in Costa Rica, Allee began teaching and has continued to deepen her studies. She went on to complete a 200 hour training in yoga sequencing and sound meditation with WOOM Center and most recently finished her 800 hour Jivamukti apprenticeship under the mentorship of Rima Rani Rabbath. Allee is eternally grateful for her teachers and continues to study with them daily. Follow her journey at @OmWithAllee on Instagram.